Oils were used in healing and nursing the skin for thousand of years, and fragrant essences were integral part of everyday rituals and religious ceremonies almost from the very beginning of mankind. For example, it is known that 6000 years ago balming of the mummies was executed with etheric oils, while in Cleopatras age there were as many as 21 aromatic oil utilized by women for aleviating stretch marks, wrinkles and cellulite, and wealthy Egyptians, tending and keeping it's youth and beauty, treated various skin conditions with the help of oils. From dry and normal to oily and mixed, oils are the foundation in the care of all skin types, due to their inner and outer nurturing. Given that the selection, as well as benefits, is quite enormous, it's up to us to choose the suitable one. I picked for myself Nuxe Huile Prodigieuse dry oil for face and body, L'Occitane Sublime Repairing hair oil and Nikel and Bio-Oil oils for stretch marks. Purpose of body oil is deep hydration. It penetrates the deeper layers and provides intensive care and recovery while at the same time polishes the surface. Aside from ensuring required moisture and nutrients, oils acts like antioxidants, slow down the aging, creates the protective barrier and stimulate regeneration. 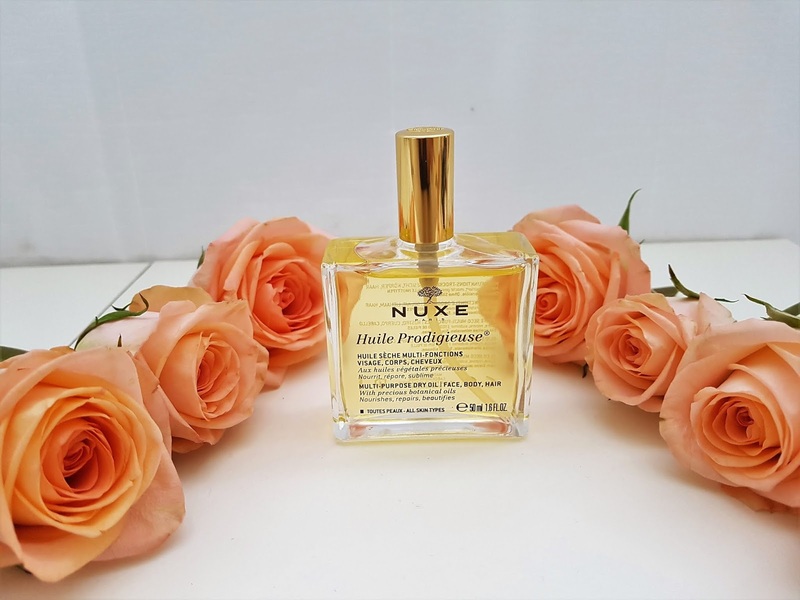 Nuxe Huile Prodigieuse is multifunctional body, face and hair oil apt for all skin types. 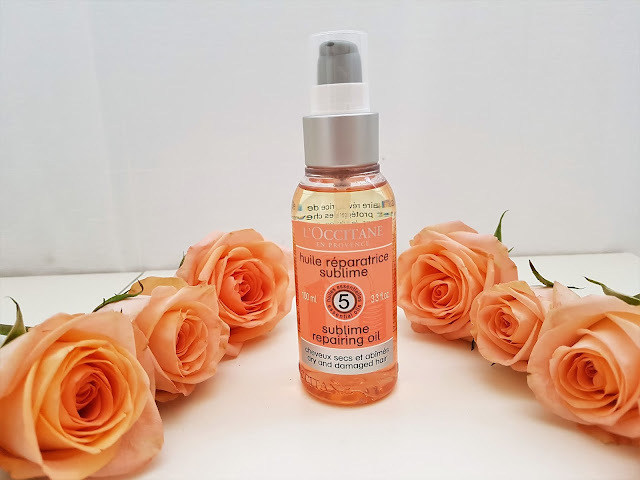 Without mineral oils and silicones, it contains 7 nutritious constituents: nourishing and rejuvenating Tsubaki oil, softening and sweet almond oil, moisturizing camellia oil, anti-wrinkle borage oil, soothing hazelnut oil, cultivating macadamia oil and refreshing argan oil. Because of its demulcent effect it has gained followers globally and achieved starry status in the cosmetic industry. Primarily I use it for body care because it leaves the skin nourished, smooth, soft and scented, but also in several ways for my hair. The first one is that I apply it on the lengths few hours before washing, with the same result as If I applied it on wet hair before drying. Occasionally I employ it on dry hair just to gloss over and scent it. I have to mention that my hair is thin, but this oil doesn't weight nor grease it at all. Although I've been avoiding using it on my face, lately I tend to that area more and more often. Specifically, I've found YouTube videos for solo face massages which can be performed at our house. I regard them excellent for retaining youthful and healthy skin appearance and preventing aging and sagging. If you don't have time or means to visit a salon or you just haven't found the right one, you can always do it at your home. It's very simple, it can be done every day and you decide how much time you are willing to spend. 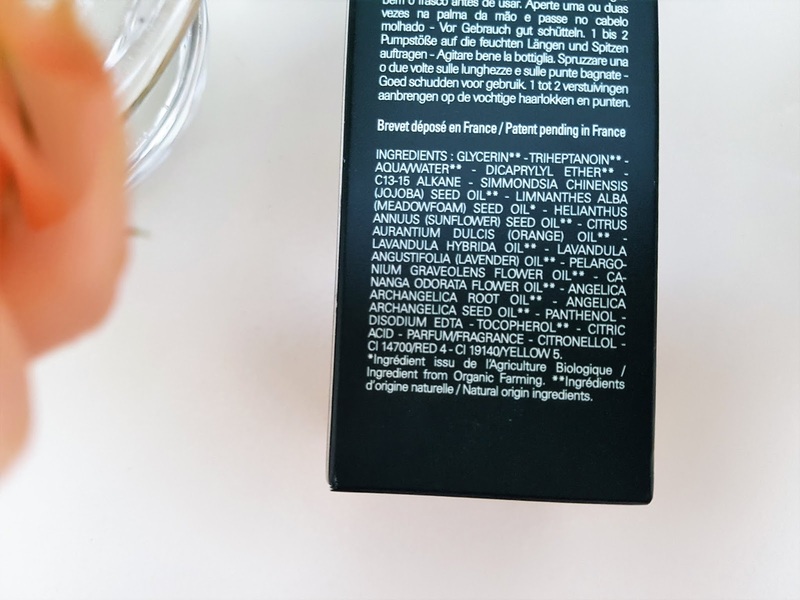 All you need is natural oil and Nuxe is one such oil. Now I use it regularly for facial massages and the outcome is gentle, even and radiant skin. In addition to Nuxe Multi-Purpose Dry Oil, I also use L'Occitane Néroli & Orchidée Huile Parfumée Body Oil. 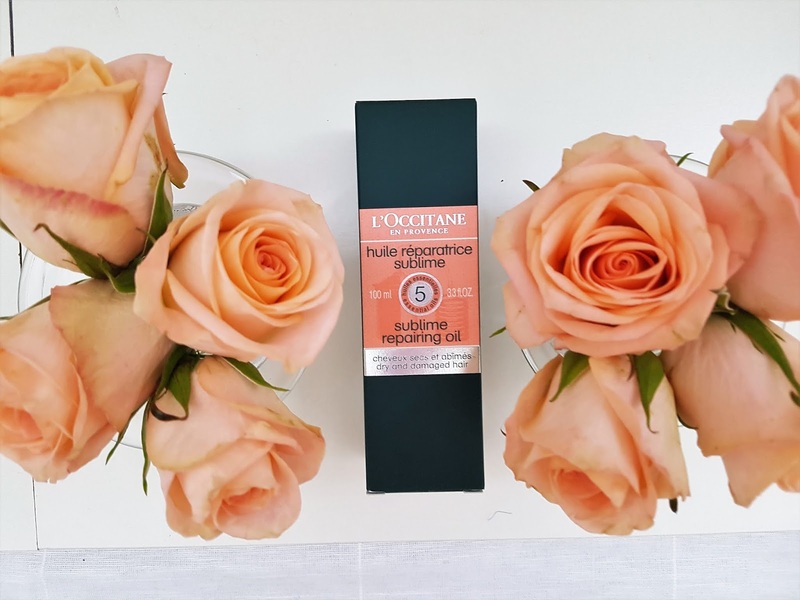 This perfumed oil helps to nourish the skin and creates a fine finish with a seductive and hypnotizing scent, born from a delightful blend of orange blossoms and orchids. You can read a detailed review of this oil here. 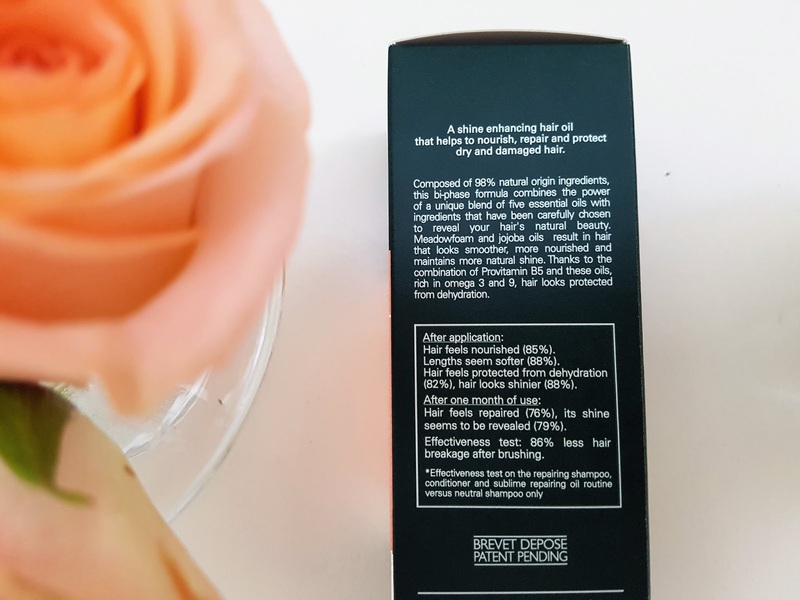 Previously the hair oils were reserved for women with dry or curly hair, mostly because they produce a greasy film and weighten the hair, but recently they become very popular among wider range of consumers. Today's market is literally flooded with vast selection of oils for all hair types, even for my thin. They nourish, regenerate, protect and deeply cultivates the hair making it shiny and slick but simultaneously silky and dashing. All of the above is encompassed in L'Occitane Sublime Repairing oil which derives glow and feeds, renews and shields dry or splitted hair. With 98% warily chosen natural ingredients, this bi-phase formula combines the power of 5 uniquely blended essential oils that reveals hair's innate beauty. Meadowfoam and jojoba oils smoothens the hair and in collaboration with provitamin B and omega 3 and 9 continuously hydrates it. I use it after washing my hair, in a way that I firstly shake it to connect all the constituents, then squeeze two doses and smear it between my palms and rub it on the ends and along the lengths and finally dry my hair with a blow dryer. The wonderful odor is constant for a long period, sometimes I can smell it when I return from all-day city outing. In my teenage years, when I suddenly lost weight, the stretch marks appeared on my thighs. Since they're durable and difficult to get rid off, I accepted their existence and never stressed about it nor limited myself in wearing bathing suits. However, I strive to ameliorate that area and ensure additional care. I tried miscellaneous creams up untill the moment I discovered Nikel oil for stretch marks with tangerine, to which I've been faithful ever since and in turn it significantly improved my skin's complexion. 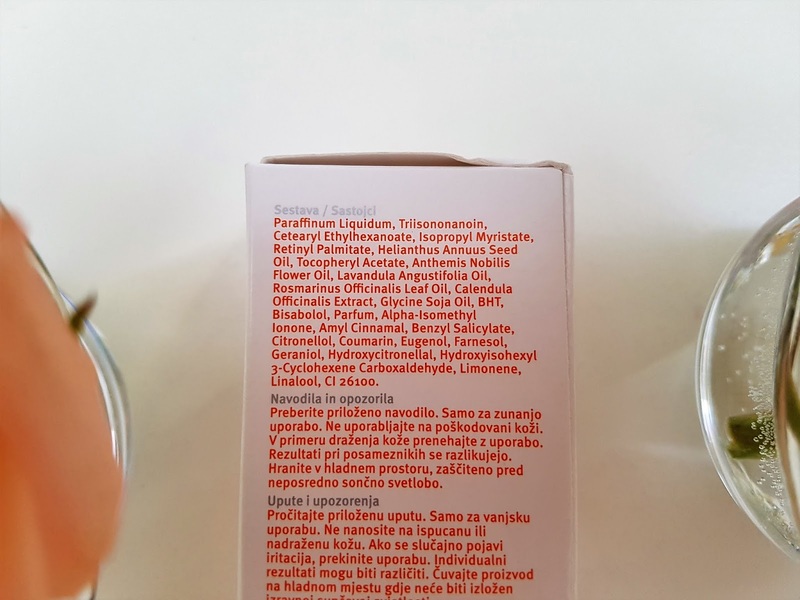 Nikel is a cosmetic line launched by pharmacy master Mirjana Brlečić. Initialy she started the company Nature heals where she had a chance to meet numerous patients. 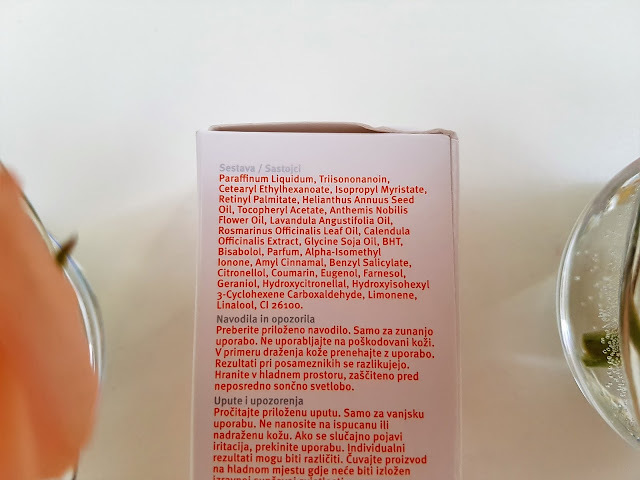 Conversing with them about allergic reactions caused by products' ingredients, she decided to devise natural cosmetics without unnecessary additives, free of preservatives, artificial dyes and aromas, in another words healthy cosmetics with 100% natural components. That's how Nikel was founded and soon its quality was recognized by women in search for healing and nursing preparations. I'm a great fan of this brand and oil itself which delights me with 100% natural oils of almond, hazelnut and jojoba, without preservatives, parabens and artificial coloring, with high concentration of vitamins that offer everything required for fine elasticity and tonus. Except for nursing and nourishing, it also prevents formation of stretch marks or, like in my case, relieves those already existing. It's advisable to apply it in the morning and/or in the evening on the entire body, with a special attention to places prone to occurence of stretch marks. I place it on inner side of the thighs, but also on the stomach, back and along the legs. It quickly absorbs, leaves no trace and makes the skin tighter and plump. Fragrance is really beautiful, so far I haven't encounter a product with tangerine scent, which I adore by the way. 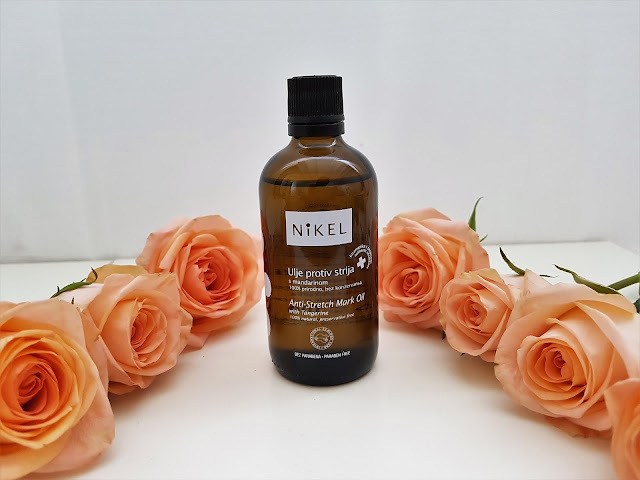 It comes in a 100 ml dark brown bottle and is one of my favorite Nikel products. In my personal routine I included Bio-Oil oil that is recommendable for scars, stretch marks, uneven, older or dehydrated skin. 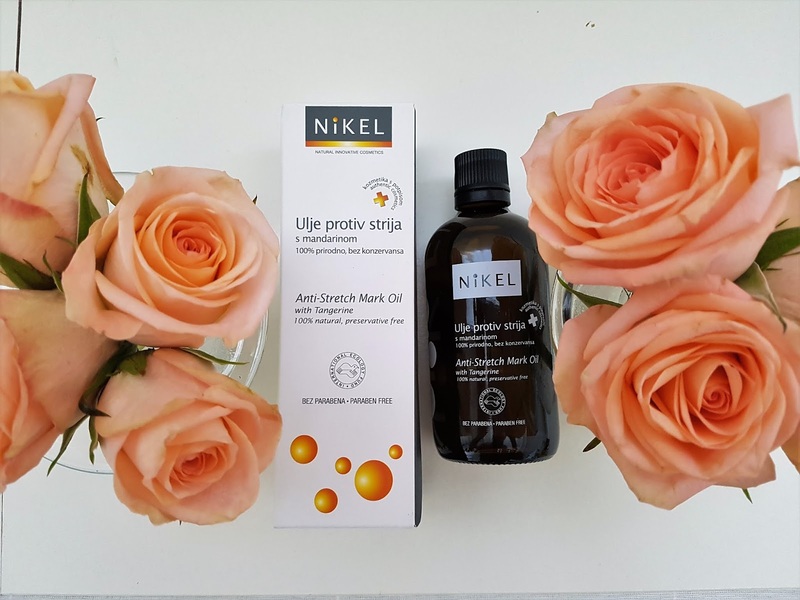 PurCellin Oil reduces density of the formula so it's more susceptible to imbibe and daub, which is why the distinction in relation to Nikel is immediately noticeable. 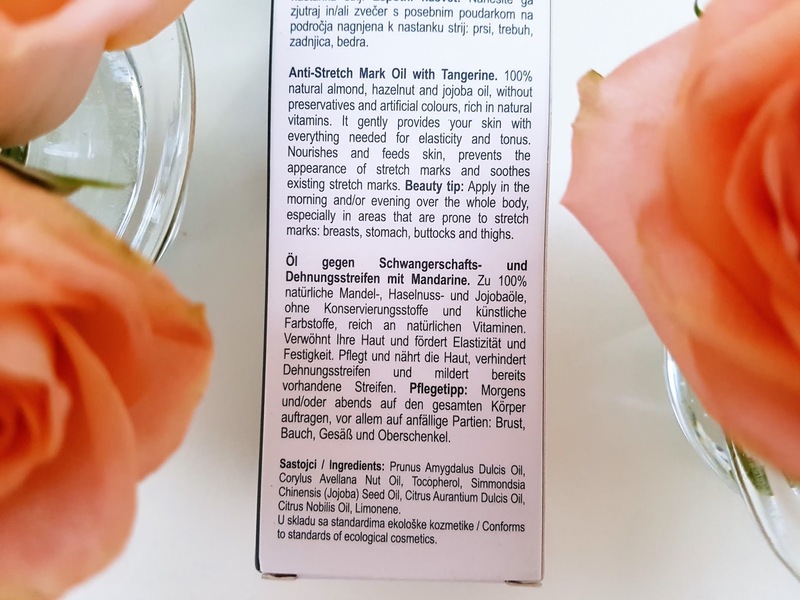 Key ingredients of vitamins A and E and natural oils of marigold, lavender, rosemary and chamomile swiftly reaches requisite areas, and hypoallergenic formula is appropriate for sensitive skin of face and body. I practise leg massages with it because, as I saw on YouTube, I can exert them at home too. Even though I visit physiotherapist from time to time, the advantage of home massages is that I can do it while watching TV or listening to music. As I’ve already mentioned, Bio-Oil is easily coated and perfect for massages, and after the treatment skin feels glib, balmy, nourished, tight and full. It’s gently pink colored and can be purchased in 25, 60, 125 and 200 ml packaging. In the end I will yet again applaud to the beneficial effects of oils. Nowadays you can indisputably acquire multiform sorts of oils intended for all types of skin and hair. They are permanent and indispensable items in my daily cosmetic routine. Do you use oils in your skin and hair care routine and if so, which ones? Do you have a suggestion which I should try? Have you tried any of the described? What are your impressions? Write me in the comments. Great review! some of these products are new to me. Thank you so much for your kind words. I'm glad to hear that you like review of these oils. I use facial and body oils all the time. I haven't tried any of these so I need to soon! These oils are great, I use them and I'm very satisfied how my skin look. When you try these oils I would like to hear which oil you pick for yourself and your opinion about product. I love using oils as skincare! Great ideas! Thank you so much, dear Jessica. We share same love for using oils in skincare. I can't imagine my routine without them. 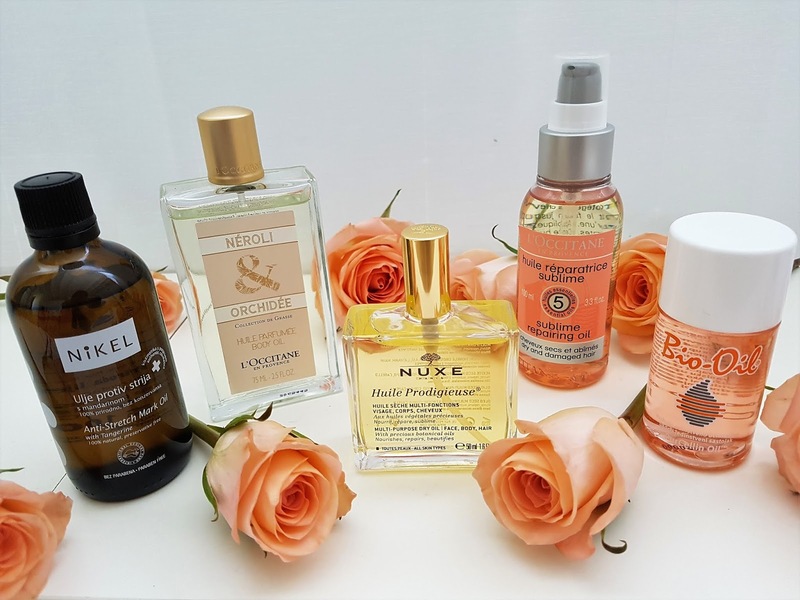 We share same love for Nuxe oil. I discovered that oil when I was at college and from that time use it year after year. Thank you so much, dear Eva. We share same love for using oil in skincare routine. Thank you so much. 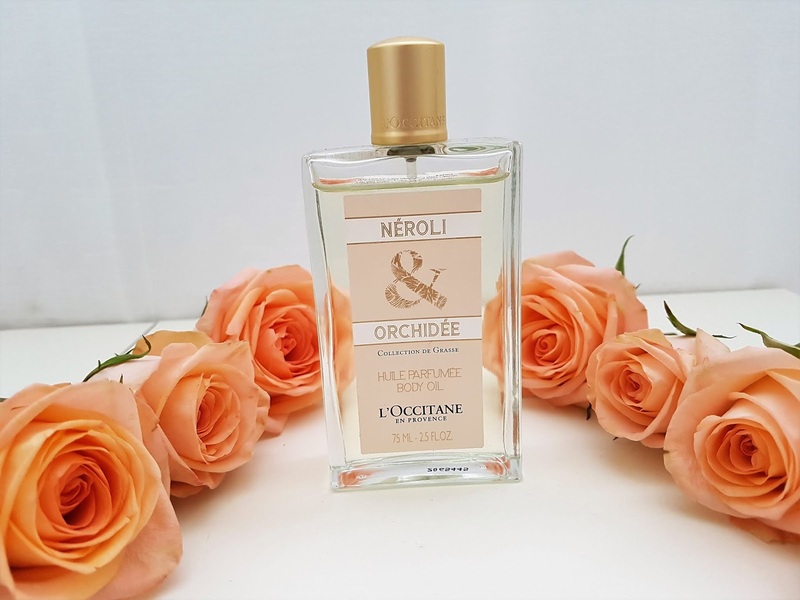 L'Occitane Neroli & Orchid have amazing scent. I adore it. thanks for sharing these products!!! must be great products! :D thanks for sharing! You are welcome, dear Luana. All of these oils are amazing products. I really love them. Thanks for sharing these products! I've been wanting to try out more oils since I've heard so many amazing benefits from them! 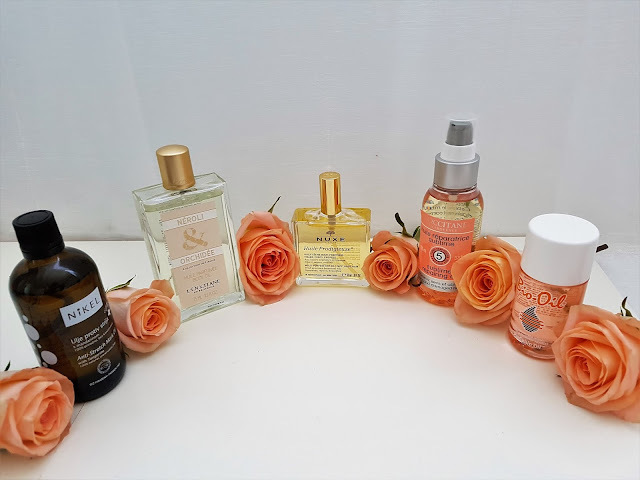 Oils are great in skin and hair care and after you try some of them I would like to hear your opinion and are you satisfied with effect that they leave on skin. These oils all look great and perfect for dry skin in the winter! You are completely right, dear Carrie. These oils are amazing products and they are perfect for winter skin care routine. thank you so much for your beautiful words. When you try some of these oils I would like to hear which one you pick for yourself and your impressions about it. I have used the nuxe huile prodigieuse and i simply loved it! t is really effective! Dear Francesca we share same love for Nuxe Huile Prodigieuse. I used it for years and adore it. It is my No. 1 oil in skin and hair care routine. I'm always on the lookout for body oils as I suffer of dry skin. All those products look amazing! Thank you so much, dear Simone. These oils are really amazing and if you have chance try Nuxe, Nikel or Bio-Oil. They are really great for skin. Great review hun, I have used Bio oil during my pregnancy, I have yet to try the others out. Thank you so much, dear! I'm happy to hear that you like review. When you try the rest of oils I would like to hear your impressions about them. 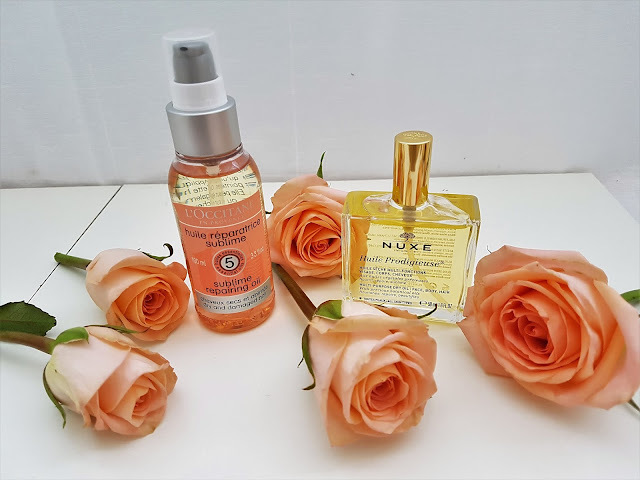 Nuxe oil is really great product. I use it for years and adore it. When you try it I would like to hear your opinion about Nuxe oil and do you love it as much as I do. I don't use oils on my hair but I should definitely give it a try ! Theses products look really good. You are completely right, dear Margot. 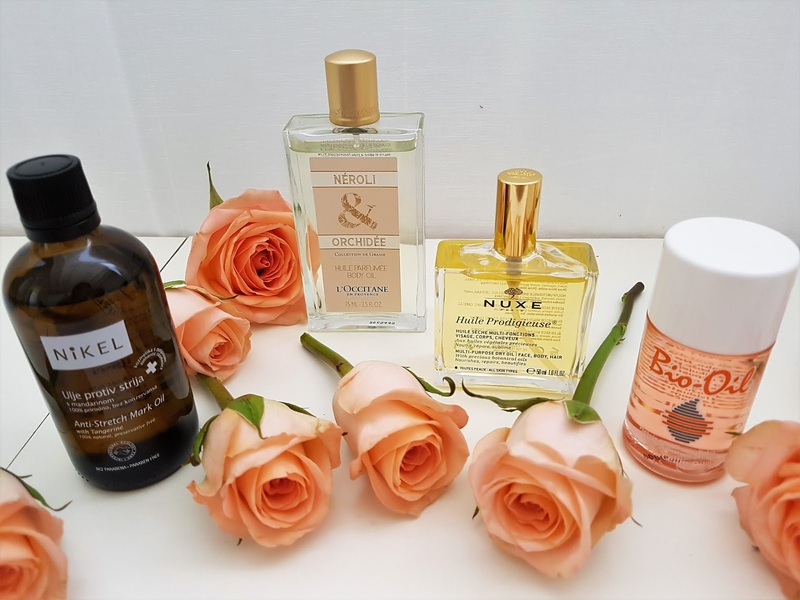 These products are great and when you try Nuxe or L'Occitane hair oil I would like to hear your opinion about them and do you like it. My life and beauty routine is full of oils and oil treatments. I have used Bio-Oil regularly. Love how it makes my skin feel and smell but it does nothing for stretch marks and I have used it for years. I completely agree with you about Bio-Oil. It have such a beautiful smell and leaves skin smooth and soft. I use it for months and really love it. we share same opinion about Bio-Oil. I'm glad to hear that you love it as much as I do. When you try some or all of these products I would like to hear your impressions about them. 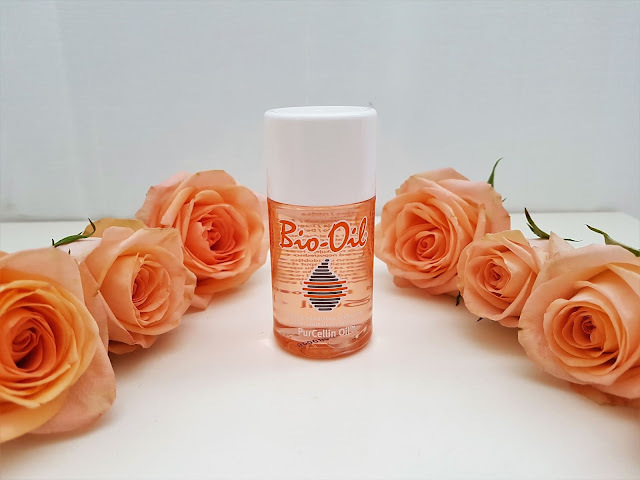 I used Bio Oil in both my pregnancies - of course it didn't prevent stretch marks, nothing does, but it did help my skin feel nice and not so stretched and itchy! The smell reminds me of pregnancy now, haha! That is very interesting how you connect scent of Bio-Oil with your pregnancy. I also like that scent and how oil leaves my skin smooth and nice. I have the Nuxe one and I use it for the face. The smell just have a relaxing vibe. Thank you so much, dear Zorica. I completely agree with you about scent of Nuxe oil. It have a relaxing vibe and when I massage my face I feel so relaxed and skin after treatment is so soft and beautiful. Thank you so much, dear Magda! Thank you so much, dear Nina for your kind words! I love skin oils! 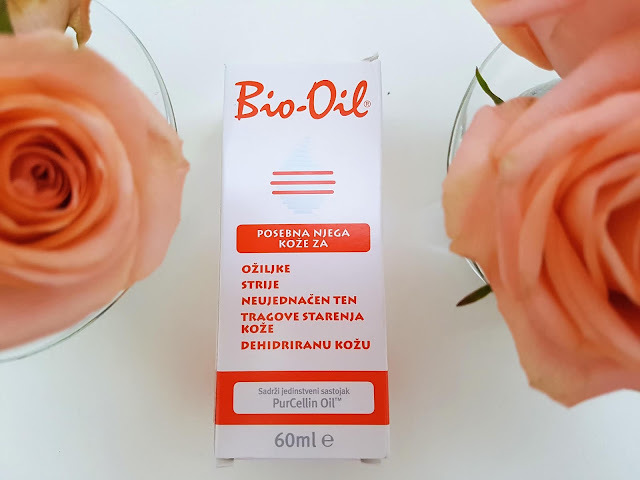 Bio Oil is the best! I'm happy to hear that we share same love for skin oils. I can't imagine my skin care routine without them, and Bio-Oil is one of the best products that I ever try. I use it for months and I really love it. I've been using oils and butters on my skin for years now and while it took me a little while to get used to them, once I did, my skin was happy about it. Thanks for sharing these products. They sound like great options. You are welcome, dear Kathrin. These oils are really amazing for skin and hair care. I had same situation like you, because before I only use creams for body, but when I started using oils I can't stop. Now I prefer oils in regard to creams. Bio-Oil is one of my fav products! I'm glad to hear that we share same love for Bio-Oil. It is also one of my favorite products. Hi! These kind of oils are fantastic to hidrate the skin. I usually use them in summer. You are completely right, dear Marinela. I use them all year round, but Nuxe, L'Occitane and Bio-Oil prefer during summer because they quickly absorb into the skin. I'm very happy to hear that we share same love for skin oils. I use them for years in my skin care routine and really love them. I heard only good review about Drunk Elephant products but never before I didn't try them so I really need to check oil, now I'm curious. When you try some of these products let me know your impressions about them. I don't use oils on my skin. I really need those products. when you try these oils I would like to hear your impressions about them and do you like them, as much as I do. I love using oils. Cool products, they sound really amazing products. I'm happy to hear that we share same love for oils in skin care. These are really great products, some of them like Nuxe and Nikel I use for years and I can't image my routine without them. Thank you so much. I'm glad to hear that you like photos. I'm glad to hear that because I can't imagine my skincare and hair care routine without them. I love using oils on my skin and hair! There are definitely so many benefits! Thanks for sharing! You are welcome, dear Valerie. I completely agree with you about oils, they have so many benefits and now I prefer oils in regards to creams or body lotions. It's amazing how well oils can do to your skin and hair. I've never researched much about them but I have heard wonders of the jojoba oil. Many benefits even for nails. I also heard that jojoba oil is amazing in skin and hair care. Because that it is ingredients in many products. I never before use oil for nails, but for nail cuticle I use Bio Oil and it make skin very soft and beautiful. I'm happy to hear that we share same love for Nuxe and Bio Oil. I can't imagine my skin and hair care routine without them. Bio oil is one of my fav. We share same love for Bio Oil, because I also really love that oil. You are welcome, dear Liz! I read many good reviews of apricot oil and I'm very happy that you are satisfied with it. I need to try it. Thank you for recommendation! It all looks great! I love oils! Thank you so much. I also really love oils and can't imagine my skin and hair care routine without them. Ulja su super za kožu kako lica tako i tijela, samo treba pogoditi pravu kombinaciju i mješavinu za naš tip kože. U potpunosti se slažem s tobom. Ja sam probala neka ulja, između ostalih i maslinovo koje nije odgovaralo mom tipu kože, a izuzetno je hranjivo i mnoge cure i žene ga hvale. Very great review... Have a beautiful day! Thank you so much, dear Sara. In the past I used oil for my haircare, too, but I forgot it :) Thanks for remembering as I'm in general a fan of oils for skincare (and haircare). I'm also huge lover of oils in skin and hair care and can't imagine my routine without them. Eles parecem ser muito bons! You are completely right. They are very good for skin and hair care! Such a nice post! Love the idea of using the oils. I'm glad to hear that you like idea of using oils because now I prefer oils in regards to body lotions or creams. They have so many benefits for skin and make it smooth, soft and beautiful. Need to try these oils! They sound fabulous! You are right, they are awesome! When you try these oils I would like to hear your impressions about them. Não conhecia os produtos, adorei a dica parece ótimos produtos. They are really great and I love all of them! Yes, you are completely right. Bio-Oil is great product, leaves my skin soft and smooth, and I really like it. You are welcome. Thank you for your kind words. They mean a lot to me and I really appreciate it. I never before heard for that brand, but I would check it because I always searching for new oils that I can try. Thank you so much, dear Mina. I'm glad to hear that you like post and products. 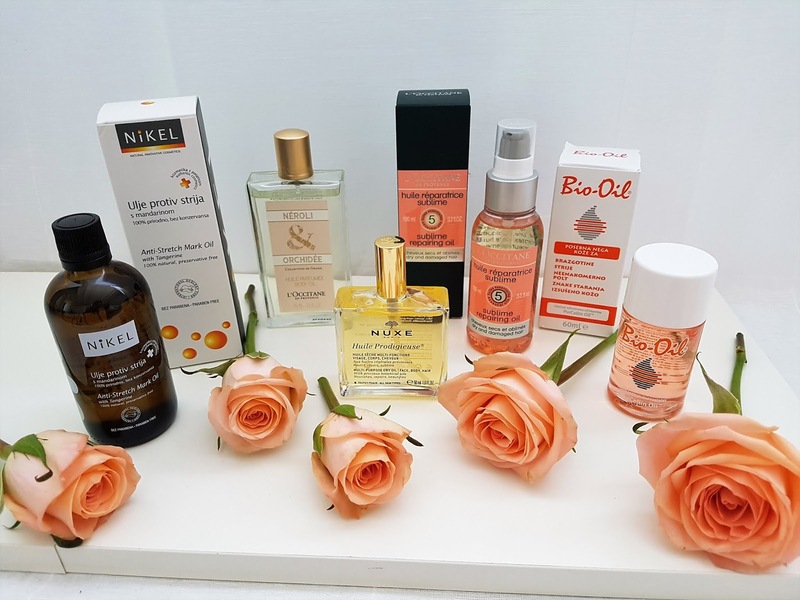 Lovely products, i have used the Bio oil its a good product. We share same opinion about Bio-Oil, it is great product! Oils are really great in hair care and today you can find a huge range of different products. I would like to hear which one you pick for yourself.